He seems to be a carefree person. Though when he was about to state his surname he had second thoughts telling it, It shows that he's a person worried about what others might think about him. He also cares for his team mates. He is also rather naive as shown when he was tricked by Kariya, but even so he has a kind heart since he didn't get angry at Kariya. He is also rather close to Tenma and Shinsuke, but he is shown to be the closest to Amagi. 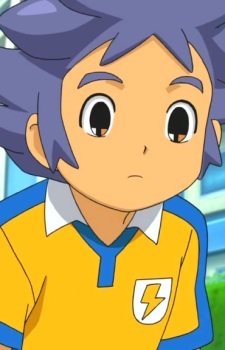 He is a forward for Raimon.